A Blogger is nominated by another winner. 1. I’m thinner than half of USA’s population and fatter than half of Somalia’s population. 3. Aspire to be a diplomat one day(even an International lawyer for a kickass firm works). 11. I’ve this weird tendency to overdraw from any event that happens in my life. 1. What would you name the autobiography of your life? >> Being average AND awesome. 2. One thing when something happened to you that you thought was bad but it turned out to be for the best? 3. If you could be any fictional character, who would you choose? 4. If you could choose to stay a certain age forever, what age would it be? >> Folding clothes and arranging them in my wardrobe. 6. Your favorite Pick up line? 8. Honest feedback for my blog? >>You’re writing is good and fresh. But the theme is too girly. I prefer neutral themes. But then, whatever floats your boat! >> Exhilarating relaxation and an amalgam of out poured pent-up feelings. 10. What was your last facebook status update? 11. What is the most difficult question for you to answer? 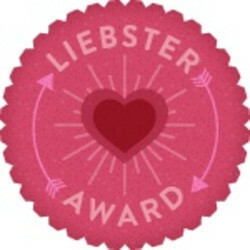 This entry was posted in Answers, Award, Blog Award, Blogger, Liebster, Questions. Hey Siddharth…Thanku for accepting the award and writing a beautiful post…. Thanks again for the honest feedback.